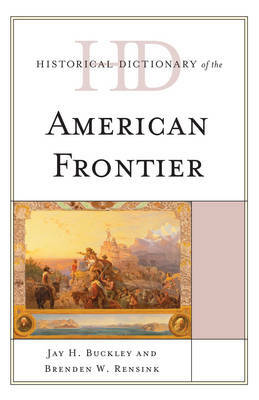 The Historical Dictionary of the American Frontier covers early Euro-American exploration and development of frontiers in North America but not only the lands that would eventually be incorporated into the Unites States it also includes the multiple North American frontiers explored by Spain, France, Russia, England, and others. The focus is upon Euro-American activities in frontier exploration and development, but the roles of indigenous peoples in these processes is highlighted throughout. The history of this period is covered through a chronology, an introductory essay, and an extensive bibliography. The dictionary section has over 300 cross-referenced entries on explorers, adventurers, traders, religious orders, developers, and indigenous peoples. This book is an excellent access point for students, researchers, and anyone wanting to know more about the development of the American frontier.